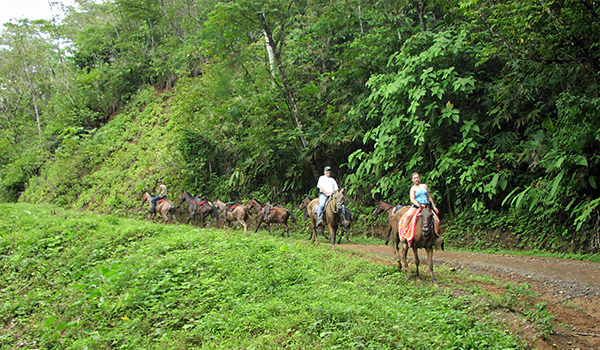 Ride along beaches, through rainforest, and along lush hilltops with sweeping views of the Pacific Ocean. 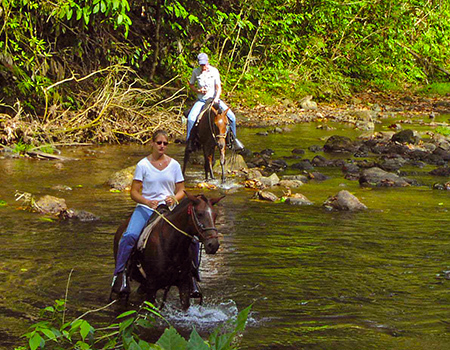 On your way to thundering waterfalls hidden deep in the forest. 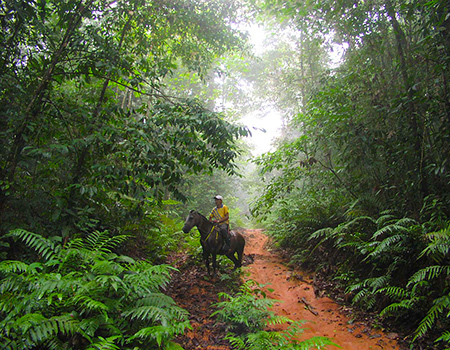 Connect with the local flora and fauna like never before. 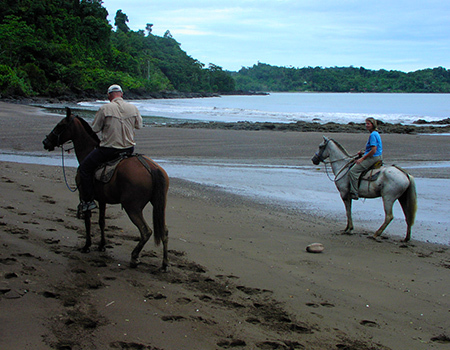 You’ll head upriver on horseback, and then inland through the forest, reaching a secluded waterfall, where you can take a swim and check out the view, before having the run of a whole beach as the sun dips in the late afternoon. 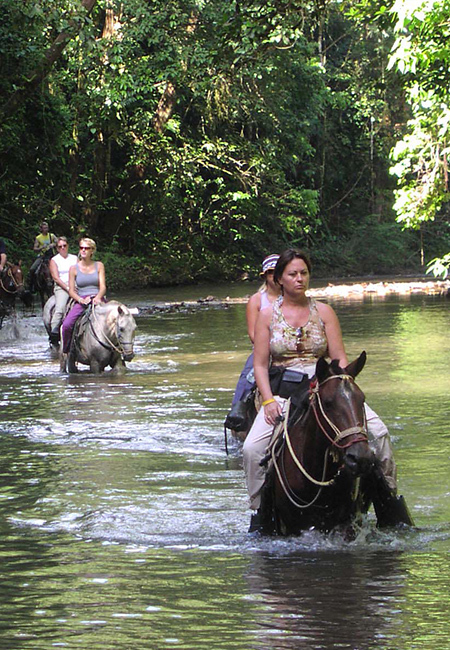 Whether you’re an expert horseback rider or just a beginner, this tour is a fantastic way to spend a few hours of your stay on the Osa. Time: Your choice; keep in mind, mornings are cooler. Activity level: Moderate, helmets will be provided. We highly recommend sunglasses, sunblock, a hat, a long-sleeved shirt and long pants to protect you from the tropical sun. If you plan to swim in the waterfall, we recommend that you wear a bathing suit and request a beach towel from reception.